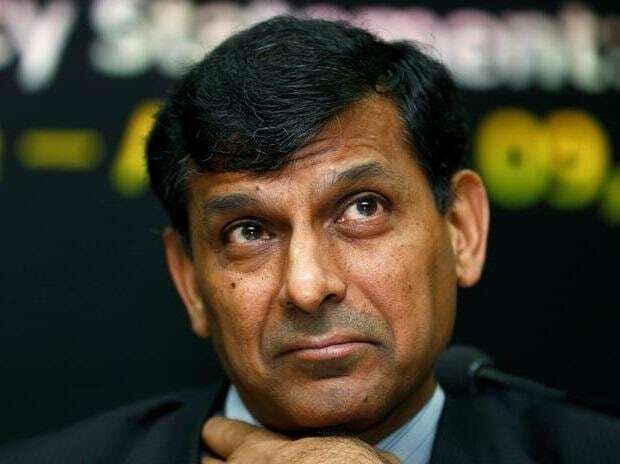 Former RBI Governor Raghuram Rajan on Tuesday expressed doubts over Indian economy growing at 7 per cent when not enough jobs were being created and said the current cloud over the GDP numbers must be cleared by appointing an impartial body to look at the data. Rajan, who has also served as Chief Economist at the International Monetary Fund (IMF), said he had no idea what statistics are pointing at currently and "a revamp" was needed "to really figure out what India's true growth rate is". "I know one minister (in the Narendra Modi government) has said (that) how can we be growing at 7 per cent and not have jobs. Well, one possibility is that we are not growing at 7 per cent," he told CNBC TV18. He did not name the minister. Finance Minister Arun Jaitley has been stoutly defending the growth data saying an economy cannot be growing at 7-8 per cent without creating jobs. He has also stated that no major social agitation indicates it hasn't been jobless growth. Rajan, who was Reserve Bank of India (RBI) Governor between September 2013 and September 2016, said a stronger broad-based growth is needed that creates more jobs. On doubts being raised by some over economic data after revision in growth rate, he said a clean up act is needed and an impartial body appointed to look at the numbers. "I just think that we need now to essentially clean up, find out what in fact is the source of confusion with the new GDP numbers, with the revisions etc. I would say setting up an impartial body to look at it is an important step to resorting confidence," he said. The impartial body may throwback the same numbers but "we absolutely need better confidence in our GDP numbers now given the back and forth we have had". In November 2018, the Central Statistics Office (CSO) lowered the GDP growth for previous Congress-led UPA by recalibrating national accounts. After this, the four years of the current government showed higher average growth than that achieved during the UPA. Last month, the government revised the economic growth rate upwards to 7.2 per cent for 2017-18 from 6.7 per cent estimated earlier. Questions have been raised about the government not making public the NSSO labour survey that reportedly put unemployment rate in 2017 at a 45-year high. Earlier this month, a group of 108 economists and social scientists said that lately, the Indian statistics and the institutions associated with it have however come under a cloud for being influenced and indeed even controlled by political considerations. "In fact, any statistics that cast an iota of doubt on the achievement of the government seem to get revised or suppressed on the basis of some questionable methodology," the group had said in a statement. Jaitley had countered them saying 70 per cent of them were compulsive contrarians, a term he had coined to thrash opponents of Prime Minster Narendra Modi-led government earlier. Rajan, who is on a tour to promote his new book 'The Third Pillar', said a broad-based growth that creates meaningful jobs for people was needed. "We need stronger broad-based growth, which primarily for most people means good jobs. What we need to do is focus on how do we create good jobs for the vast number of people who are leaving schools, who are leaving agriculture, who are leaving universities, in such a way that they can expand India's growth," he said. "Lot of people have said the population dividend should not become a population curse. This is the time when we need to make sure that in fact doesn't happen," he added. Speaking to NDTV, he suggested that the government should introspect on some of its decisions like the controversial note ban. "Enough time has now passed by for us to look back at demonetisation and ask what the learning has been from it? Did it work or not? And what were the positives and negatives... Self-examination is something that every government must do for better governance and efficiency," the renowned economist was quoted as saying by NDTV. On the question of lack of jobs, indicated by the data of the NSSO (National Sample Survey Office) recently, he said there was a need for credible data. "Given that kind of anxiety, it is important, just to convey to the world, that we are not manipulating anything... this is our data, to actually have an independent group look into it and certify that our data indeed is fine or suggest the changes needed," he said. Rajan said India has had a good record with credible data. "We need to take a fairly clean, independent look at our statistics process. What I would think might be useful is to get a panel of independent experts to go through that... and think very carefully about the processes we follow," he said.